Cheltenham , also known as Cheltenham Spa, is a regency spa town and borough which is located on the edge of the Cotswolds, an Area of Outstanding Natural Beauty in Gloucestershire, England. With a motto of Salubritas et Eruditio meaning 'health and education', Cheltenham has been a health and holiday spa town resort since the discovery of mineral springs in 1716 and has a high number of internationally renowned and historic schools. 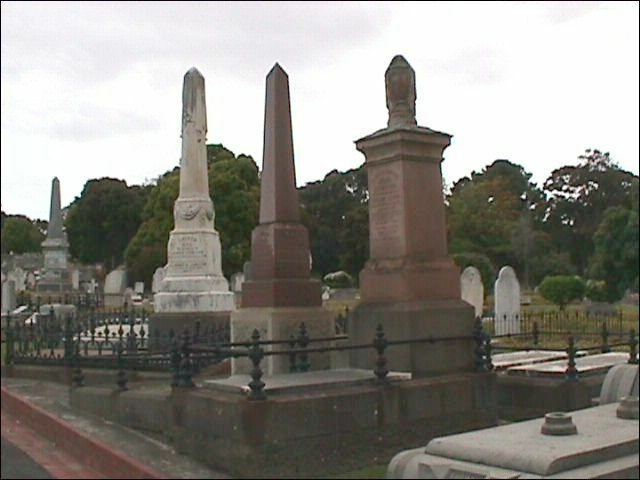 The town hosts several festivals of culture, often featuring nationally and internationally famous contributors and attendees. The list of festivals includes: the Cheltenham Literature Festival, the Cheltenham Jazz Festival, the Cheltenham Science Festival, the Cheltenham Music Festival and the Cheltenham Food & Drink Festival. As the home of the flagship race of British steeplechase horse racing, the Gold Cup is the main event of the Cheltenham Festival, held every March. Cheltenham stands on the small River Chelt, which rises nearby at Dowdeswell and runs through the town on its way to the Severn. It was first recorded in 803, as Celtan hom; the meaning has not been resolved with certainty, but latest scholarship concludes that the first element preserves a pre-British noun cilta, 'steep hill', here referring to the Cotswold scarp; the second element may mean 'settlement' or 'water-meadow'. As a royal manor, it features in the earliest pages of the Gloucestershire section of Domesday Book where it is named Chintenha[m]. The town was awarded a market charter in 1226. Though little remains of its pre-spa history, Cheltenham has been a health and holiday spa town resort since the discovery of mineral springs there in 1716. Captain Henry Skillicorne (1678–1763), is credited with being the first entrepreneur to recognise the opportunity to exploit the mineral springs. The retired "master mariner" became co-owner of the property containing Cheltenham's first mineral spring upon his 1732 marriage to Elizabeth Mason. Her father, William Mason, had done little in his lifetime to promote the healing properties of the mineral water apart from limited advertising and building a small enclosure over the spring. Skillicorne's wide travels as a merchant had prepared him to see the potential lying dormant on this inherited property. After moving to Cheltenham in 1738, he immediately began improvements intended to attract visitors to his spa. He built a pump to regulate the flow of water and erected an elaborate well-house complete with a ballroom and upstairs billiard room to entertain his customers. The beginnings of Cheltenham's famous tree-lined promenades and gardens surrounding its spas were first designed by Captain Skillicorne with the help of "wealthy and traveled" friends who understood the value of relaxing avenues. The beautiful walks and gardens were naturally adorned with sweeping vistas of the countryside. Soon the gentry and nobility from across the county were enticed to come and investigate the beneficial waters of Cheltenham's market town spa. The visit of George III with the queen and royal princesses in 1788 set a stamp of fashion on the spa. The spa waters can still be sampled at the Pittville Pump Room, built for this purpose and completed in 1830; it is a centrepiece of Pittville, a planned extension of Cheltenham to the north, undertaken by Joseph Pitt, who laid the first stone 4 May 1825. Cheltenham's success as a spa town is reflected in the railway station, which is still called Cheltenham Spa, and spa facilities in other towns that were inspired by or named after it. Alice Liddell and Lewis Carroll were regular visitors to a house in Cudnall Street, Charlton Kings – a suburb of Cheltenham. This house was owned by Alice Liddell's grandparents, and still contains the mirror, or looking glass, that was purportedly the inspiration for Lewis Carroll's novel Through the Looking-Glass, published in 1871. Horse racing began in Cheltenham in 1815, and became a major national attraction after the establishment of the Festival in 1902. Whilst the volume of tourists visiting the spa has declined, the racecourse attracts tens of thousands of visitors to each day of the festival each year, with such large numbers of visitors having a significant impact on the town. In the Second World War, the United States Army Service of Supply, European Theatre of Operations established its primary headquarters at Cheltenham under the direction of Lt. Gen. John C. H. Lee, with the flats of the Cheltenham Racecourse becoming a giant storage depot for countless trucks, jeeps, tanks and artillery pieces. Most of this materiel was reshipped to the continent for and after the D-Day invasion. Lee and his primary staff had offices and took residence at Thirlestaine Hall in Cheltenham. On 1 April 1974, under the Local Government Act 1972, the borough of Cheltenham was merged with Charlton Kings urban district to form the non-metropolitan district of Cheltenham. Four parishes—Swindon Village, Up Hatherley, Leckhampton and Prestbury—were added to the borough of Cheltenham from the borough of Tewkesbury in 1991. The first British jet aircraft prototype, the Gloster E.28/39, was manufactured in Cheltenham. Manufacturing started in Hucclecote near Gloucester, but was later moved to Regent Motors in Cheltenham High Street (now the Regent Arcade), considered a location safer from bombing during the Second World War. Cheltenham is on the edge of the Cotswolds, an Area of Outstanding Natural Beauty in the South-West region of England. The small River Chelt flows under and through the town. 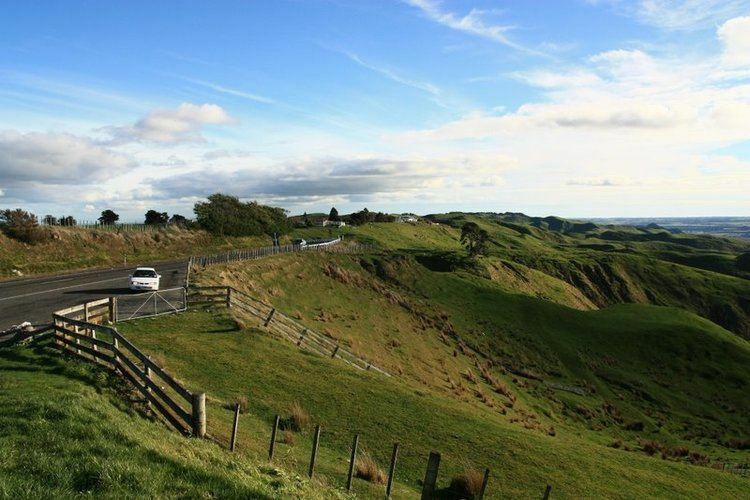 Cleeve Hill overlooks the town and is the highest point in the county of Gloucestershire at 1,083 feet (330 m). The districts of Cheltenham include: Arle, Benhall, Charlton Kings, Fairview, Fiddler's Green, Hesters Way, Lansdown, Leckhampton, Lynworth, Montpellier, Oakley, Pittville, Prestbury, the Reddings, Rowanfield, St Luke's, St Mark's, St Paul's, St Peter's, Springbank, Swindon Village, Tivoli, Up Hatherley, Whaddon and Wyman's Brook. Located at the end of the Promenade South of the town centre, affluent Montpellier is known for its vibrant bars, restaurants and specialist shops. Surrounded by many grade one listed buildings, Montpellier Gardens are part of the Cheltenham Central Conservation Area. Lansdown Crescent is a Regency period terrace, designed by John Buonarotti Papworth for R.W. and C. Jearrad and constructed in the 1830s. The terrace is convex, and opposite the north-eastern part stands Lansdown Court, an Italianate villa possibly designed by Papworth but more probably by the Jearrads and built about 1830. Charlton Park is a former 72-acre (29 ha) historic park with mansion house, about a mile south-east of the town centre. From 1935 the parkland gradually became a private residential area, the main housing development taking place between 1976 and 1983. The original mansion house dated from the 13th century; alterations throughout the centuries transformed it from a medieval, timber-framed hall-house into an 18th-century brick-faced mansion in the classical style. In the 1780s the estate was emparked for deer and had magnificent Dutch-style water gardens. After 1935 the old house became part of Charlton Park Convent, and since 1987 has been part of St Edward's School. Cheltenham Borough Council is the local authority for Cheltenham, which is split into 20 wards, with a total of 40 councillors elected to serve on the borough council. Since 2002 elections have been held every two years with half of the councillors elected at each election. The current Mayor of Cheltenham is Councillor Klara Sudbury who was elected by council on Monday 15 May 2017. 'The Doughnut', the head office of the British Government Communications Headquarters (GCHQ) is located in Cheltenham. As with the rest of the British Isles, Cheltenham experiences a maritime climate. In comparison to many other areas in Britain, Cheltenham has warm summers and mild winters. The town held the British maximum temperature record from 1990 to 2003—temperatures reached 37.1 °C (98.8 °F). The absolute minimum is −20.1 °C (−4.2 °F), set during December 1981. During a typical year, 145.6 days will report at least 1 mm of precipitation, and some 42.2 nights will record air frost. Cheltenham has light industry, including food processing, aerospace, electronics and tourism businesses. The Government's electronic surveillance operation Government Communications Headquarters (GCHQ), renowned for its "doughnut-shape" building, is in Cheltenham. Vertex Data Science, GE-Aviation, Chelsea Building Society, Endsleigh Insurance, Archant, Nelson Thornes, UCAS (Universities & Colleges Admissions Service), Kohler Mira, Barnett Waddingham LLP, Zürich Financial Services, Douglas Equipment and Spirax-Sarco Engineering all have sites in and around Cheltenham. SuperGroup plc, owner of the Superdry label, have their headquarters in Cheltenham. Cheltenham is a regional shopping centre, home to department stores, the oldest being Cavendish House, from 1823, and the Regent Arcade. The Beechwood Shopping Centre in the town centre was demolished in 2017 to make way for a £30million, 115,000 square foot John Lewis store. Cheltenham is well-known for its nightlife, with a wide range of pubs, wine bars, clubs and restaurants. It has a Michelin two-star restaurant, Le Champignon Sauvage. In 2006, a house valuation web site rated Cheltenham the most desirable property location in Britain. In 2014, The Daily Telegraph newspaper named Cheltenham as the best place in the United Kingdom to raise a family. The unemployment rate in Cheltenham was 2.7% in 2010 compared to the UK national unemployment level of 7.9%. The average GVA per head in Cheltenham was £21,947.27 in 2011 compared to the national average of £26,200. In 2012, The Guardian found that, at the end of 2011, 41 multi-millionaires lived in Cheltenham, which was the fourth-highest rate in the UK of multi-millionaires per 100,000 people at 35.44. The town is famous for its Regency architecture and is said to be "the most complete regency town in England". Many of the buildings are listed, including the Cheltenham Synagogue, judged by Nikolaus Pevsner to be one of the architecturally "best" non-Anglican ecclesiastical buildings in Britain. Cheltenham Town Hall was built in 1902 to commemorate the coronation of King Edward VII and Queen Alexandra. The Cheltenham Art Gallery & Museum, also called The Wilson, hosts a programme of art exhibitions running throughout the year. 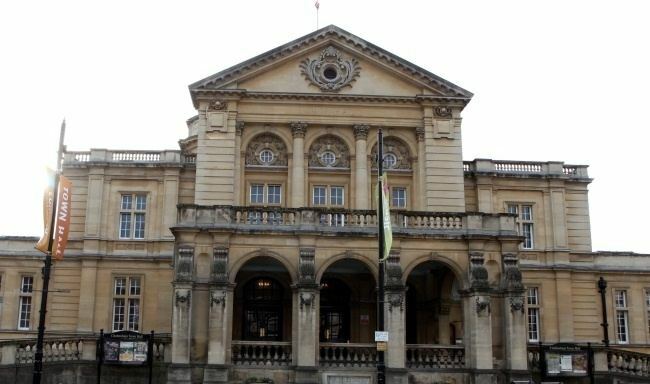 In 2014 many of the town's historic cultural and leisure buildings were put under the control of The Cheltenham Trust, a charity set up to manage and develop the buildings on behalf of the town. Along with The Wilson, the Trust now manages the Town Hall, the Pittville Pump Room, the Prince of Wales Stadium and Leisure @, a large fitness and swimming complex. A volunteer board of Trustees, chaired by media entrepreneur Peter Harkness, controls the Trust. The Trust's CEO is Julie Finch former director museums in Bristol. Cheltenham hosts the annual Cheltenham Music Festival, Cheltenham Jazz Festival and the Ukulele Festival of Great Britain. In 2010, Cheltenham was named the UK's fifth "most musical" City by PRS for Music. The Cheltenham Art Gallery & Museum has a notable collection of decorative arts from the era of the Arts and Crafts Movement. The collection enjoys National Designation by the Arts Council of England. The Holst Birthplace Museum contains personal belongings of the composer of The Planets, including his piano. It also includes a working Victorian kitchen and laundry, Regency drawing room and an Edwardian nursery. The Cheltenham Civic Society has been responsible for erecting commemorative plaques in the town since 1982: blue plaques to celebrate well-known people and green plaques to celebrate significant places and events. Every year, Cheltenham Festivals organises music, jazz, literature and science festivals in the town, attracting names with national and international reputations in each field. Events take place at venues including the town hall, the Everyman Theatre, the Playhouse Theatre and the Pittville Pump Room. Several other cultural festivals, including the Cheltenham Paranormal Festival, the Cheltenham Design Festival, Cheltenham Folk Festival, Cheltenham Poetry Festival, The True Believers Comic Festival and Cheltenham Comedy Festival are separately organised but also attract international performers and speakers. A more local event, the Cheltenham Festival of the Performing Arts (formerly Cheltenham Competitive Festival) is a collection of more than 300 performance competitions that is the oldest of Cheltenham's arts festivals, having been started in 1926. Greenbelt, a Christian arts and music festival, and Wychwood Festival, a family-friendly folk and world music festival, were held at Cheltenham Racecourse. The town also hosts the multi-venue Walk the line festival. Two sporting events are also routinely described as the "Cheltenham Festival" or "the Festival": the Cheltenham Cricket Festival, which features Gloucestershire County Cricket Club, and National Hunt racing's Cheltenham Festival. Butterflies was predominantly filmed in Cheltenham. "If...." (1968) was filmed in Cheltenham. The Whistle Blower, a spy thriller, was largely filmed in Cheltenham, as GCHQ is central to the plot. The Full Monteverdi, a 2007 British film written and directed by John La Bouchardière, was partly filmed in Cheltenham. The House of Eliott, a British television series produced and broadcast by the BBC between 1991 and 1994, was partly filmed in Cheltenham. Vanity Fair, a BBC serialised adaptation of William Makepeace Thackery's novel of the same name, was partly filmed in Cheltenham. The Thistle Golden Valley Hotel (now the Jurys Inn) was used by the ITV soap opera Crossroads for outdoor location filming from 1982 to 1985. Cheltenham has four theatres: the Everyman, the Playhouse, the Bacon and the Parabola Arts Centre. According to 2010 estimates from the Office for National Statistics, Cheltenham's population is 115,300, ranked 186th out of 326 English districts based on population, with a population density of 6,410 people per square mile (2,473/km2), placing it 72 out of 326 English districts based on population density. 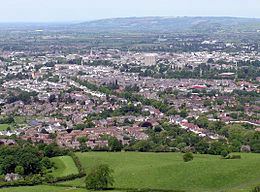 Inhabitants of Cheltenham are known as "Cheltonians". In 2013, Cheltenham was named one of the safest towns for university students to live in the UK by the Complete University Guide. Gloucestershire Constabulary is the territorial police force responsible for policing the town covering 14 neighbourhoods in the Cheltenham area. The oldest school in Cheltenham is Pate's Grammar School (founded in 1574). Cheltenham College (founded in 1841) was the first of the public schools of the Victorian period. The school was the setting in 1968 for the classic Lindsay Anderson film if..... It also hosts the annual Cheltenham Cricket Festival, first staged in 1872, and the oldest cricket festival in the world. The most famous school in the town, according to The Good Schools Guide, is Cheltenham Ladies' College (founded in 1853). Dean Close School was founded in 1886 in memory of the Reverend Francis Close (1797–1882), a former rector of Cheltenham. The town also includes several campuses of the University of Gloucestershire, two other public and six other state secondary schools, plus institutions of further education. Cheltenham Racecourse, in the nearby village of Prestbury, is the home of National Hunt, or jumps, racing in the UK. Meetings are hosted from October to April. The highlight of the season is the Cheltenham Gold Cup, which is normally held in the middle of March, during the Cheltenham Festival. The local football teams are Cheltenham Town F.C. who play in the Football League Two, Bishop's Cleeve who play in the Southern League South & West Division, Cheltenham Saracens F.C. in the Hellenic League Premier and Cheltenham Civil Service F.C. who play in the local Gloucester Northern Senior League, and Falcons AFC who play in the Cheltenham 1st and 3rd Division. Amateur rugby union clubs include Cheltenham R.F.C., Cheltenham Saracens RFC, Cheltenham North R.F.C., Old Patesians R.F.C., Smiths Rugby and Cheltenham Civil Service R.F.C. In rugby league university side Gloucestershire All Golds were admitted into the semi-professional Championship 1. The Cheltenham Rugby Festival is a rugby league nines event held in May. The town has one golf course, Lilley Brook, in Charlton Kings. Cheltenham has one of the largest croquet clubs in the country, and is home to the headquarters of the national body of the sport, the Croquet Association. The East Glos tennis, squash and women's hockey club, which was founded in 1885, is also located in the town. Sandford Parks Lido is one of the largest outdoor pools in England. There is a 50 m (164 ft) main pool, a children's pool and paddling pool, set in landscaped gardens. Cheltenham Festival is a significant National Hunt racing meeting, and has race prize money second only to the Grand National. It is an event where many of the best British and Irish trained horses race against each other, the extent of which is relatively rare during the rest of the season. The festival takes place annually in March at Cheltenham Racecourse. The meeting is often very popular with Irish visitors, mostly because of that nation's affinity with horse racing, but also because it usually coincides with St. Patrick's Day, a national holiday in celebration of the patron saint of Ireland. Large amounts of money are bet during festival week, with hundreds of millions of pounds being gambled over the four days. Cheltenham is often noted for its atmosphere, most notably the "Cheltenham roar", which refers to the enormous amount of noise that the crowd generates as the starter raises the tape for the first race of the festival. Cheltenham Spa railway station is located on the Bristol-Birmingham main line, with services to Gloucester, Bristol, Swindon, London Paddington, Cardiff Central, Bridgend, Maesteg, Plymouth and the South West, Birmingham, Derby, the North West, the North East and Scotland. 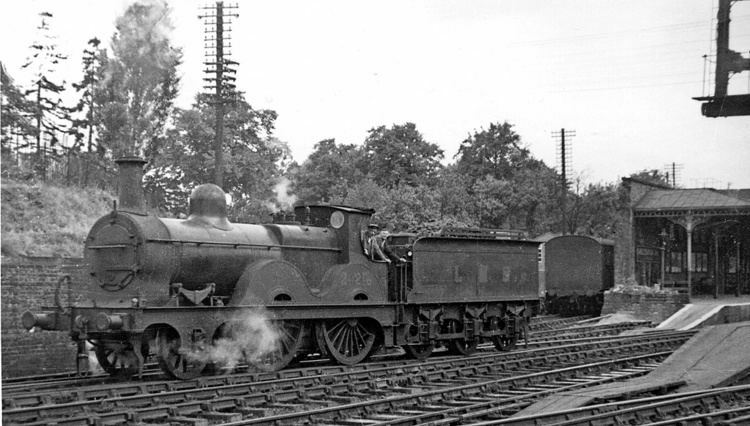 The Cheltenham Spa Express, once known as the "Cheltenham Flyer", is a named passenger train connecting Cheltenham with London. The restored station at Cheltenham Racecourse is the southern terminus of the Gloucestershire Warwickshire Railway heritage railway. The Honeybourne Line is being extended to Broadway. Cheltenham is adjacent to the M5 motorway (between Bristol and Birmingham) and its junction with the A417 to Swindon, and the A40 runs from across the M5 through the town towards Oxford and London. National Express operate a number of coach services from Cheltenham including route 444 to London and route 222 to Heathrow and Gatwick airports. Cheltenham was a terminus of the Gloucester and Cheltenham Tramroad. The first parish church is Cheltenham Minster, St Mary's, which is the only surviving medieval building in the town. As a result of expansion of the population, absorption of surrounding villages, and the efforts of both evangelical and Anglo-Catholic missions, the town has a large number of other parish churches, including Trinity Church and All Saints', Pittville, where the composer Gustav Holst's father was the organist. St Gregory's Roman Catholic church is an example of the work of the architect Charles Hansom. The Gothic Revival building was built 1854–57, the porch was added in 1859, the tower and spire were completed in 1861 and the nave was extended to join the tower in 1877. The church's s stained glass is by Hardman & Co. The town has two notable rings of bells hung for change ringing. One is at St. Christopher's (Warden Hill), the lightest ring of church bells in the world. The bells of St. Mark's are the product of John Taylor's Bell Foundry, they were cast in 1885 and 2007 and have undergone a major refurbishment. The other is a ring of 12 bells dating mainly from the 19th century hung in St. Mary's Church. These were the venue in 2008 for the eliminators of the National 12 Bell Striking contest, in which teams of campanologists from around the world compete to win the Taylor Trophy. The towers in the locality of Cheltenham belong to the Cheltenham branch of the Gloucester & Bristol Diocesan Association of Church Bell Ringers. Cheltenham is twinned with Annecy, France; Cheltenham, Pennsylvania, USA; Göttingen, Germany; Sochi, Russia; and Weihai, China.